There’s little doubt, the Jazz Aviation LP hangar in Toronto is a bustling, dynamic location on most Saturday afternoons. 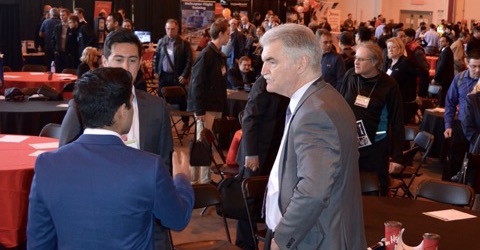 Well, it got a heck of a lot busier on Saturday, April 22, when the CIA Expo Toronto set up shop. 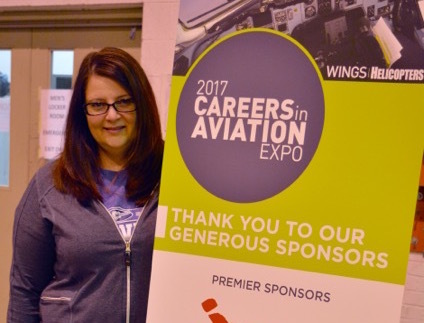 The year’s GTA version of Wings and Helicopters popular CIA Expos was an unqualified success, as more than 175 attendees and key industry exhibitors set up shop at Jazz’s home base. 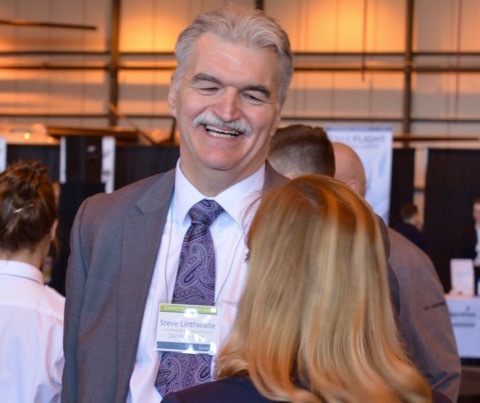 The setting was ideal – a functioning aviation hangar for one of the nation’s busiest commercial operators – and the Expo didn’t disappoint. 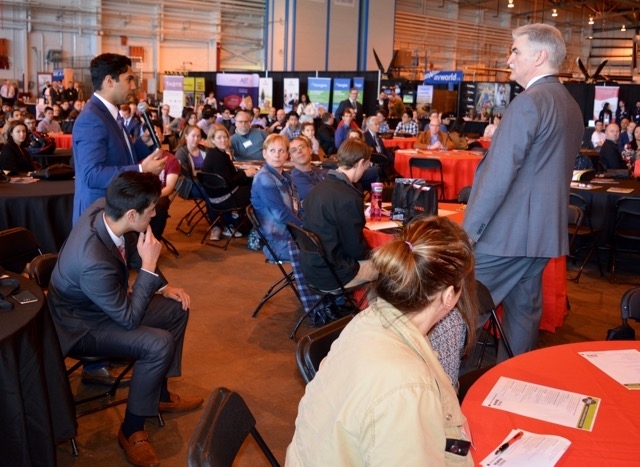 In addition to several dynamic suppliers, a variety of aircraft were also on site, giving attendees a chance to explore the hardware commercial airline pilots operate. Jazz engineering crews were also on hand, diligently going about their business as the show went on around them. It made for a very dynamic and intriguing backdrop for aspiring students trying to break into the business in a number of exciting fields. 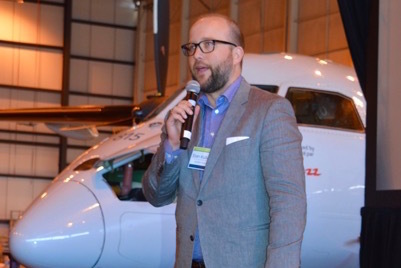 Attendees were also treated to a variety of industry speakers on both the fixed- and rotary-wing sides of the equation, including intriguing presentations from the Transportation Safety Board’s Ewan Tasker, Ontario AME president Sam Longo, and a glimpse inside the business aviation world from Levaero Aviation’s Stan Kuliavas. Wings and Helicopters CIA Expos have grown significantly since their inception a few years back in a hotel ballroom in Vaughan, Ont. and many long-time supporters were impressed by their development and impact. The Jazz Aviation LP hangar certainly gave the Expo a dynamic sense of flair.